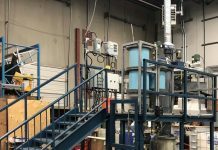 There is widespread confidence among battery recyclers that the volume of waste batteries will remain high in the coming months. 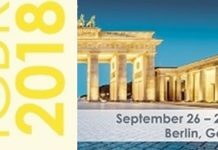 After all, almost 70 per cent of the congress participants surveyed at the International Congress for Battery Recycling ICBR 2018 rate the current development and forecast of future volume positively. 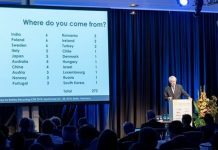 The result was almost identical to that determined one year ago, when the survey was conducted for the first time at the ICBR 2017. The optimism of the previous year therefore remains unbroken. The opinion poll is based on a survey conducted by the ICBR Steering Committee among the participants of the annual ICBR industry meeting. The results are summarized in the “Industry Barometer ICBR 2018” for the battery recycling industry, which was conducted and published for the second time this year. Although the results are not representative, they do reflect a significant body of opinion within the industry. Approximately 50 per cent of participants have a positive opinion of the current business situation. A further 30 per cent assess the current business situation as unchanged from the previous year. One in five is not satisfied with the current business situation. Only 40 per cent of the participants surveyed still have optimistic business expectations. The proportion of those who expect constant development has risen to just under 35 per cent. The proportion of pessimists is higher than one in five. When asked about the factors influencing business performance, the participants refer in particular to recycling costs and the volume of waste batteries. Other factors include the influence of transport costs, the market development for lithium-ion batteries and price fluctuations for raw materials. Another important topic, however, is legislation, which is perceived as very different by various participants within the EU. This assessment has changed little compared to the previous year. More than 50 per cent of the survey participants rate the legal framework as unchanged. One third of the participants stated that the legal framework has had a negative impact on their business this year. As justification, the congress participants refer to the fact that the EU Commission’s proposal for a revision of the EU Battery Directive is not due until 2020. They again call for an EU-wide harmonization of the classification of waste batteries and demand equal framework conditions in all member states. In addition, the revision of the Battery Directive should also take into account the increasing trend towards second-life applications for waste batteries. Nächster ArtikelSOS Phosphorous – what about a sustainable future?